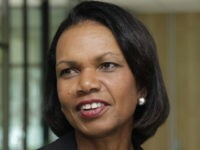 Nov. 18 (UPI) — Cleveland Browns general manager John Dorsey says the team has not discussed hiring Condoleezza Rice as a coach, disputing an ESPN report. Former Cabinet members frequently find themselves employed in a very diverse field of work after leaving government. 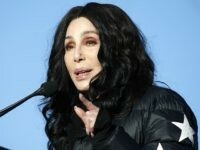 However, if the Browns pull off what they’re reportedly attempting to do, this will take things to a whole other level. 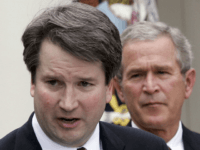 Former President George W. Bush stands by his support of Supreme Court nominee Brett Kavanaugh following his testimony before the Senate Judiciary Committee, Freddy Ford, Chief of Staff to former President George W. Bush, told Politico Thursday evening. 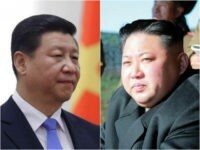 Former Secretary of State Condoleezza Rice said Tuesday morning that President Donald Trump should not engage directly in the details of negotiation with North Korea. 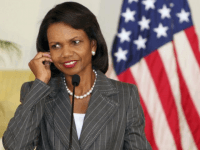 Permitting Hamas to run in the 2006 Palestinian legislative elections without the terrorist organization disarming first was “a mistake,” former US Secretary of State Condoleezza Rice acknowledged this week. 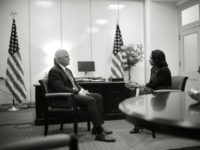 Vice President-elect Mike Pence met with former Secretary of State Condoleezza “Condi” Rice in the Washington, D.C., transition office on Wednesday to discuss bringing her on board the new administration. 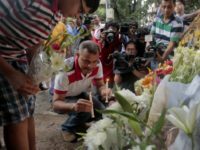 Hillary Clinton was so abusive to her security detail that the State Department could not find senior agents willing to staff the once-prestigious position to protect the Secretary of State, according to a former State employee who served in that detail. 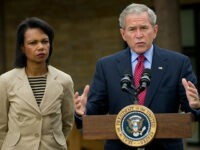 American Crime Story creator Ryan Murphy is on the hunt for actors to play former president George W. Bush and former Secretary of State Condoleezza Rice in the second season of his FX anthology television series, which will center on New Orleans before and after Hurricane Katrina. 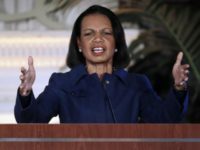 Former Secretary of State Condoleezza Rice is not interested in serving as presumptive Republican nominee Donald Trump’s vice president. The United States is committed to a more comprehensive strategy to maintain vigilance in the face of continuing cyber threats to the nation, President Barack Obama said this week, vowing to ramp up the U.S. cyber defense apparatus. 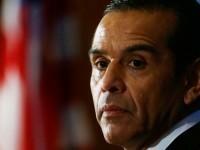 Former Los Angeles mayor Antonio Villaraigosa has decided not to run for the U.S. Senate seat being vacated by liberal Democrat Barbara Boxer after 2016. 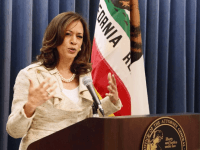 With strong support among Latino voters in California, Villaraigosa was seen as a major potential threat to Attorney General Kamala Harris, who was the first to declare for the seat. 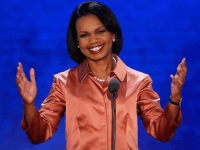 Black Conservatives Fund: Draft Condi for California! 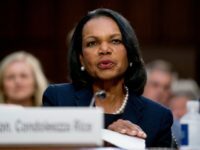 The Black Conservatives Fund (BCF), a political action committee (PAC) that declares it is “committed to turning out the black vote and elect black conservatives at every level of government,” has launched a fundraising drive around an effort to draft former Secretary of State Condoleezza Rice to run for U.S. Senate in California to replace retiring Sen. Barbara Boxer (D-CA). A recent poll showed that Rice outperformed all other candidates, actual and potential, from either major party. The leader in the race to replace retiring U.S. 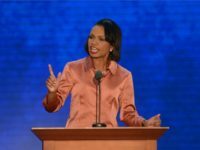 Senator Barbara Boxer (D-CA) in America’s most liberal state is… Republican Condoleezza Rice, according to a new Field Poll released Wednesday. 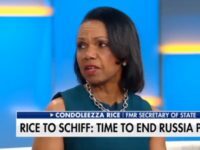 Rice, the former Secretary of State and Stanford don, is backed by 49% of voters–ahead of Attorney General Kamala Harris, the liberal Democrat who was the first to declare.